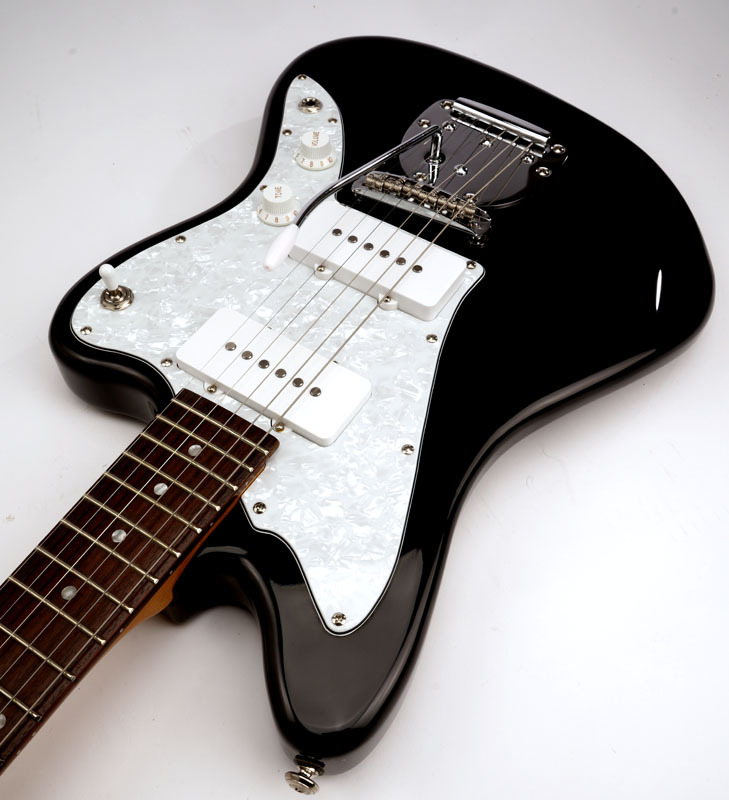 A truly authentic "Jazzmaster" style guitar at a price everyone can afford! All the vintage correct features are here, save for the incomprehensible switching system. 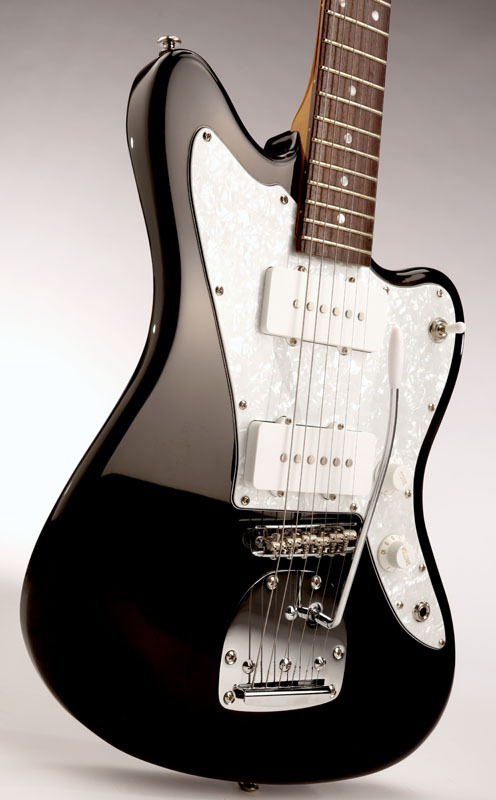 We've LOADED the JT100 up with a full-retail pair of our famed JM90 Alnico Jazzmaster pickups. 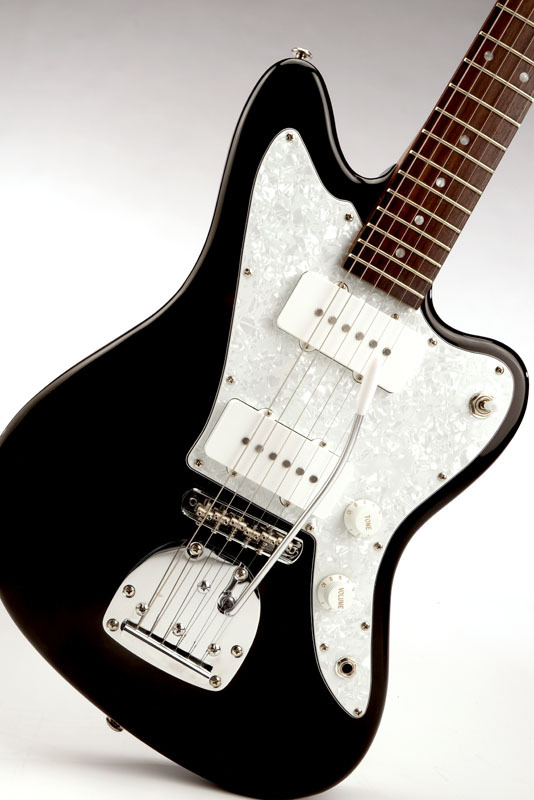 These are the same pickups we sell on our site, the same pickups used by thousands of real Jazzmaster owners to upgrade their factory pickups- you get em STOCK. 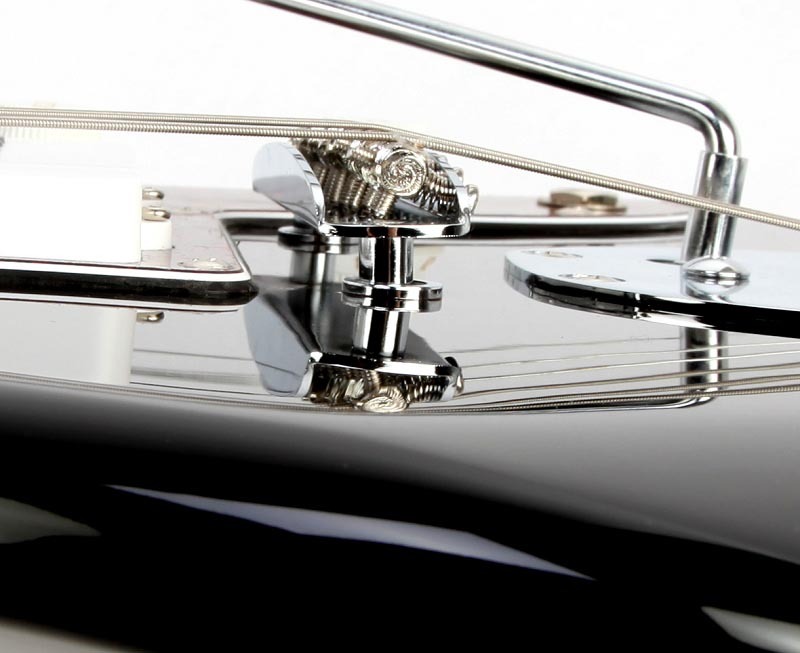 The bridge is the jag/Jazzmaster correct vintage style pivot bridge- where the bridge pivot posts sit in hardened steel cups- allowing the bridge to rock back and forth- Tuning stability is great and it has the fluid vintage feel! The Neck features vintage style radius with a sweet solid Rosewood fingerboard and 22 frets. 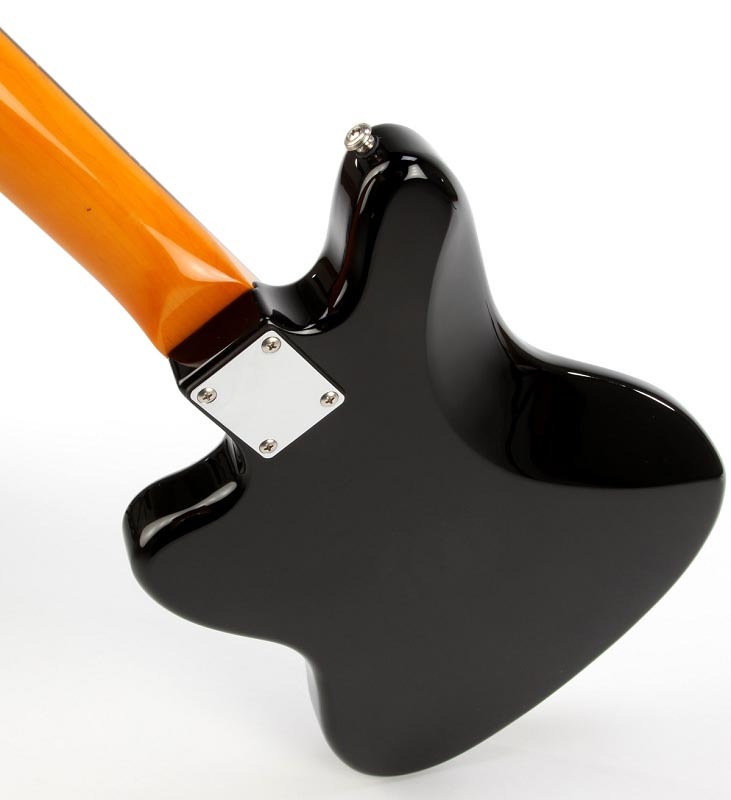 The 2 3/16" Heel width is cut the same as the traditional "strat" heel rout- and is compatible with replacement "strat" necks. The Bodies are cut from Kiln Dried Alder, chosen specifically for lightweight and tight grain pattern. 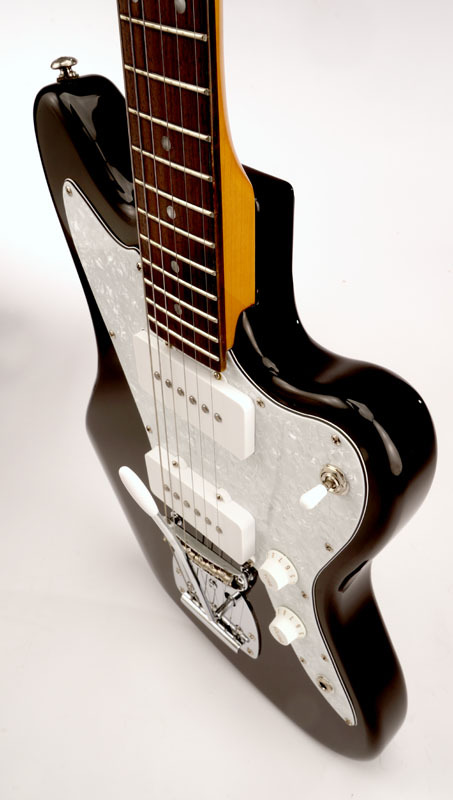 The GFS JM90 Pickups feature true noise canceling in the middle position. 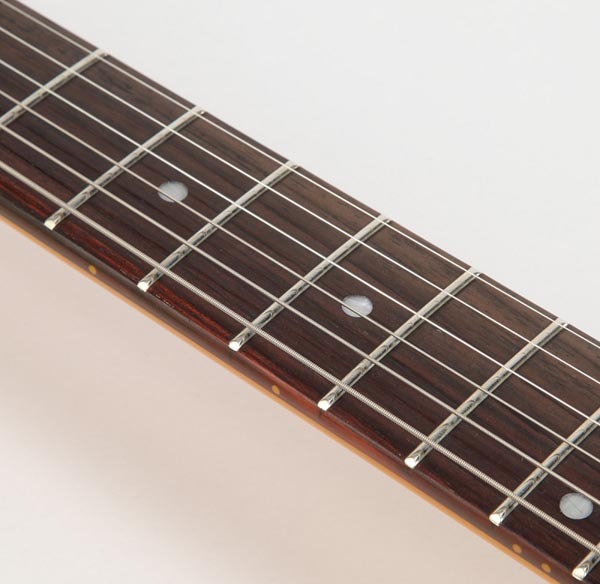 The Medium Jumbo Nickel Silver frets are hand leveled and dressed at the factory for perfect playability. Each Xaviere guitar undergoes our rigorous Quality Control process at our Boston Shop. Width at Nut- 1 5/8"
Depth at Heel- 1 1/16"
Width at Heel- 2 3/16"
Depth at 12th Fret- 13/16"